Are you the type of person that loves surprises? If so, then the Doxiepoo crossbreed is a total mystery box from head to toe. 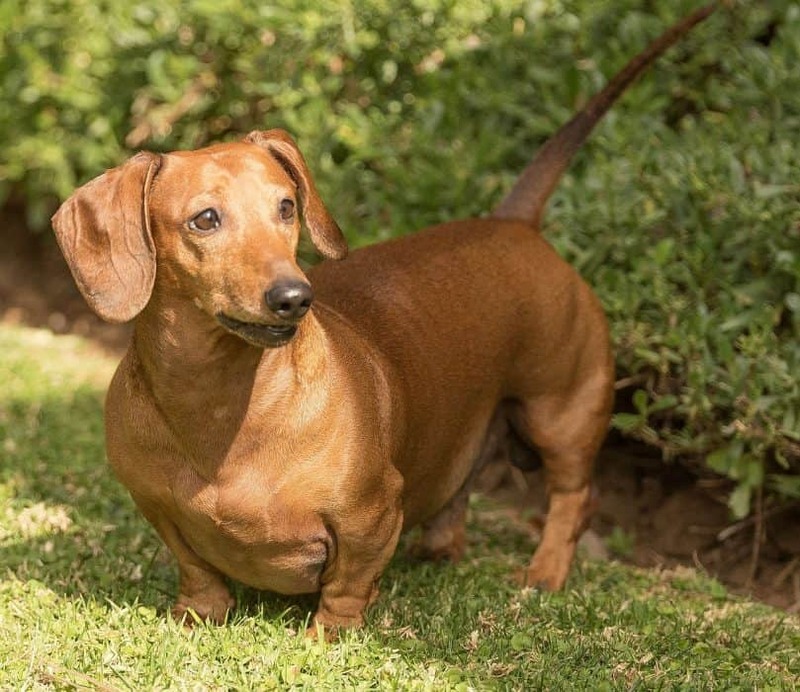 From their size to coat type and color, as well as temperament, these dogs have an incredibly diverse range of genes to inherit from their famous purebred parents, the Dachshund and the Poodle. What does a Doxipoo look like? Doxiepoo training: easy or challenging? How much are Doxiepoo puppies? Conclusion: is the Doxiepoo the breed for you? Doxipoo, Daxiedoodle, Dachapoo…there are many names that refer to the Dachshund Poodle mix. This hybrid is known for being highly unpredictable when it comes to distinguishing character traits. Even with a litter of puppies, you can expect each puppy to look different from one another. To get an in-depth understanding of possibilities, we need to look at the parents. The Miniature Poodle and Toy Poodle varieties are generally used to produce a Doxiepoo. If a Toy Poodle is the parent, the offspring is sometimes referred to as a Toy Doxiepoo. This dog is most noted for high intelligence, easy trainability and a friendly temperament. It does well as a family dog, especially around children. 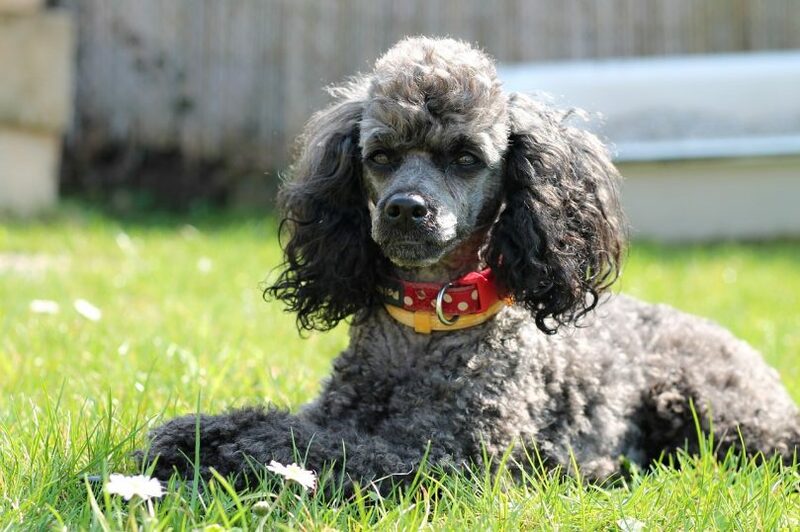 Poodles excel in dog competitions. They are quick to learn commands and obey on a whim. This also makes them well-behaved, low-maintenance pets. The Poodle is famous for its luxurious coat of tight-knit curls. This type of coat is low-shedding and touted as hypoallergenic. This breed really adds to the melting pot. I mean, a curly-coated Poodle mixed with a short-legged Dachshund? It’s one crazy outcome for the Poodle Dachshund mix. The Dachshund is a hunting breed, which explains their love for chasing down tennis balls (they were used to hunt small critters). 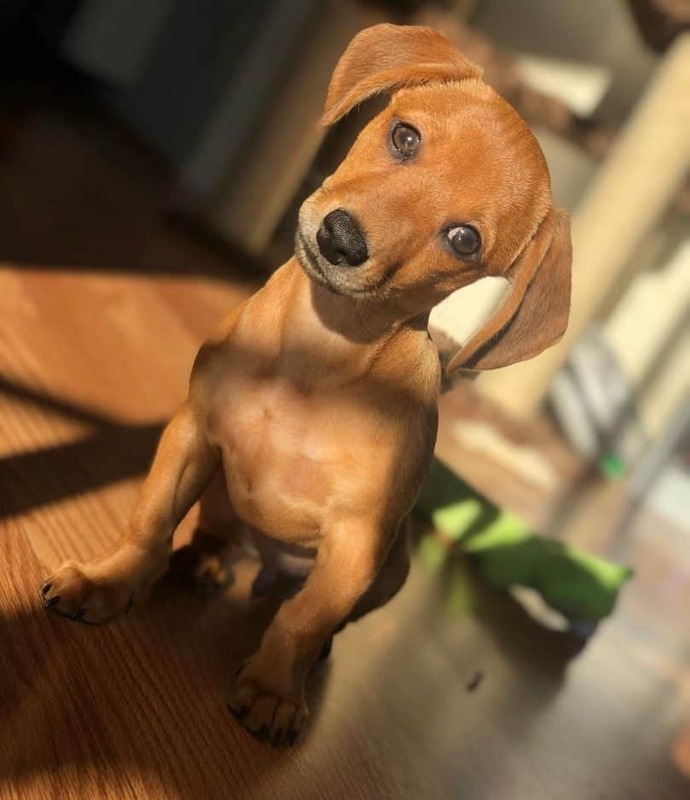 Though loving and affectionate, the Dachshund has a stubborn streak. This can make training a bit of a challenge. They are also known to bark a lot, but training can break this habit in a heartbeat. The Dachshund coat comes in numerous colors and textures, which plays a big role in how much a Doxiepoo will shed. Dachshunds exhibit short, long or wired hair. Expect low to moderate shedding, depending on the type of coat. Also, this breed is not hypoallergenic. With such a high contrast of genetic variables at play, there’s no telling how a Dachshund Poodle mix will turn out. You, as the dog owner, must be open and have no expectations. That’s one of the unique joys of a hybrid, right? Keeping the Poodle and Dachshund in mind, the size of Doxiepoo can be small to medium, growing anywhere from 17 to 23 in (43 to 58 cm) and weighing from 10 to 30 lbs (4 to 13 kg). The coat colors of a Daxiedoodle can be any combination of black, gray, white, brown or tan. This video starring Doxiepoo puppies showcases just how varied a litter can be. If you’re prone to allergies and looking for a dog that is hypoallergenic, the Dachshund Poodle mix is a possibility, but only if it inherits the curly coat of the Poodle. Shedding is low to moderate, depending on the long or short hair it may inherit from the Dachshund. As for Doxiepoo grooming, daily brushing will ensure minimum shedding. If a breeder guarantees that a litter of Doxiepoo puppies is hypoallergenic- this is a big red flag. No one can ensure the traits of a hybrid! You can rest assured that the Doxiepoo is a good family dog. These crossbreeds are well-behaved and loving, though sometimes they do tend to love a bit too much. The Doxiepoo wants to be the only fur baby in your life, and it has been known to not take well to other pets in the household. They are also prone to incessant barking. If you welcome a mini guard that will alert you to any outside danger, the Doxiepoo will not fail you. But, if you’re not a fan of small “yappy” dogs, this might not be the breed for you. Of course, there’s always training for these enthusiastic barkers. The Dachshund Poodle mix can go two ways with training. The Poodle is as quick and reliable as a dog can get, but a Dachshund is a stubborn fellow indeed. The parent breeds’ genes will also determine trainability. The key is to start them young. Early socialization will help Doxipoo pups accept other pets. Exposure to other dogs at the dog park can help with this. Consistent obedience training (emphasis on consistent) will make the Dachshund Poodle mix obedient, confident, and calm. Maintaining a patient and positive attitude whilst training is also important. Praise your Doxiepoo and reward her with treats. Never yell or use excessive force. 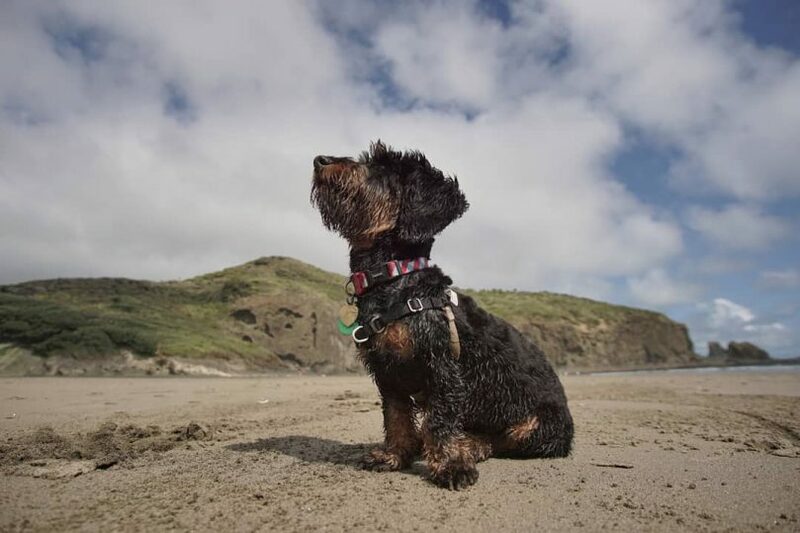 The Doxiepoo’s life expectancy is 10 to 15 years, although it can inherit some serious diseases from both the Dachshund and the Poodle. Doxiepoo health problems can include hip dysplasia, canine Cushing’s disease, bloat, intervertebral disc disease, Legg-Calve Perthes Disease, and Addison’s disease. The best way to combat disease is by making sure your Doxiepoo gets 60 minutes of exercise per day. Also, this breed is quite hyperactive and needs to burn energy to keep from chewing up your favorite shoes or digging up the petunias. Take your little furball for a walk around the block or to the dog park for some socialization and play time. It’s a good idea to invest in a few toys to play fetch or tug-o-war. This breed has a voracious appetite and struggles with obesity. Keep it light on the treats and control the menu each day- never let your dog overeat. A good rule of thumb is to feed your Dachshund Poodle mix 1.5 to 2 cups of high-quality dog food per day. Divide this amount into 3 meals. A Doxiepoo can cost anywhere between $200 and $2000. Why such a wide range? You’ll need to wade through the puppy mills and unethical breeders (hence the suspiciously lower prices) to find the honest breeders. The first responsible step you’ll take as a dog owner is to not rush into buying the first Poodle Dachshund mix puppy you find. 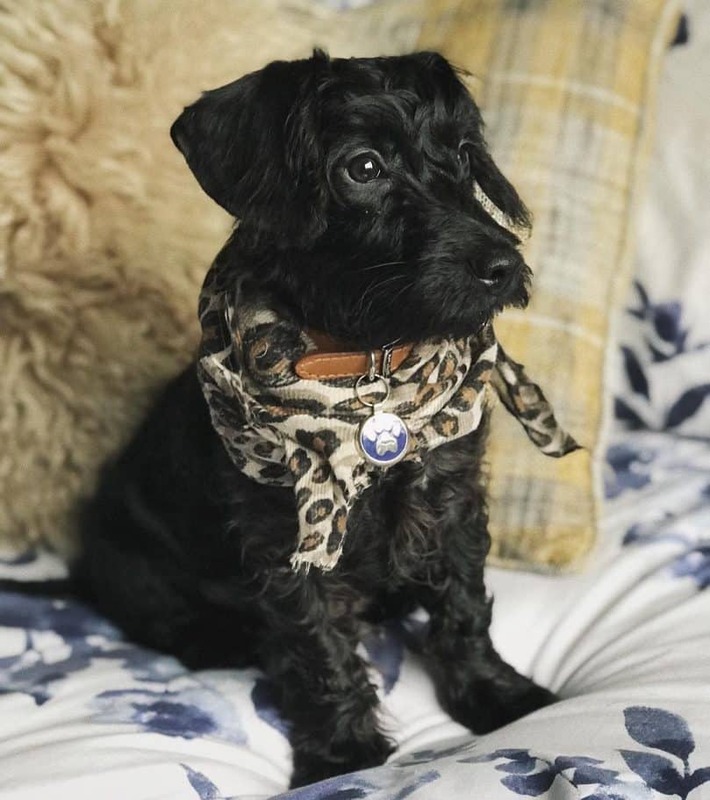 When it comes to designer dogs, especially one as mixed as the Doxipoo, you want to be informed about your decision. Ethical breeders will tell you that they cannot guarantee how a litter of puppies will turn out, but they can tell you about the puppies parents. They will be happy to meet you at the breeding facility and show you around. They’ll even let you meet the parent dogs. Most importantly, the breeder will be able to answer any questions regarding the parent’s health and will produce health clearances to prove that bloodlines are strong. Also, ask for testimonials. Reputable Doxiepoo breeders will be able to show their worth by telling you about past transactions with happy customers. The breeder wants to make a transaction online without letting you meet the puppy first. They guarantee that the puppy will act or look a certain way. You ask to visit where the puppies grew up, but the breeder refuses. The breeder can’t present health clearances for the puppy. The breeder isn’t interested in knowing anything about your lifestyle and living conditions. Unfortunately, some dog owners underestimate the level of time and dedication it takes to care for a dog. Dachshund Poodle mixes end up at rescue centers this way. If you’re interested in adopting, you can check these reputable Dachshund and Poodle rescues for Doxiepoo listings. To sum it up, the Poodle Dachshund mix is highly unpredictable when it comes to appearance and temperament. Its parent breeds can pass down a diverse array of genetics that can render every puppy in a single litter unique from one another. 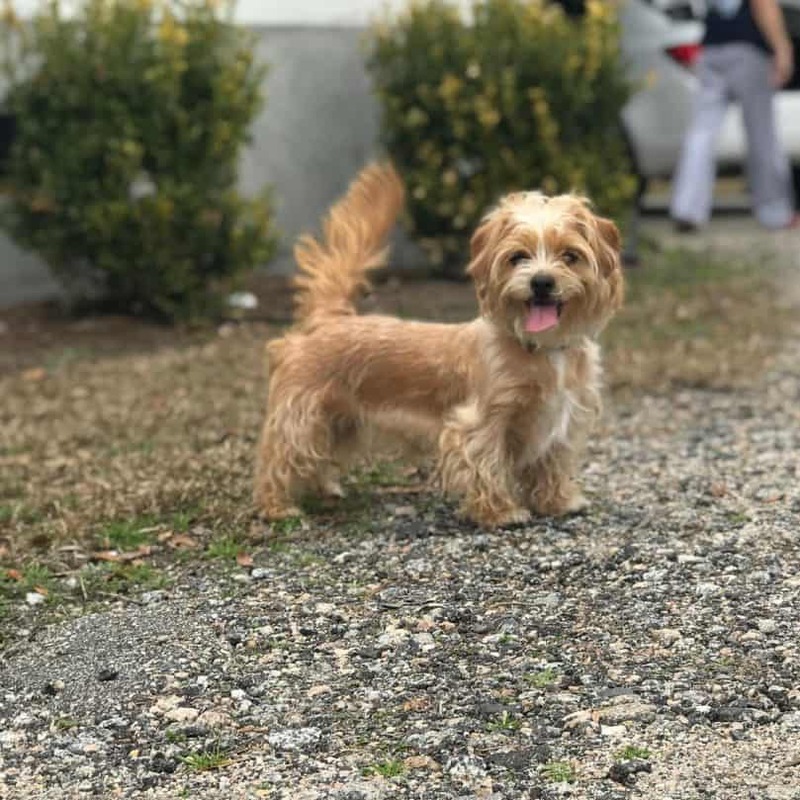 A full grown Doxiepoo is small or medium in size, making this hybrid a good choice for either an apartment or house with a yard. It is also a wonderful family dog, and it does well with children. It needs early obedience training and socialization to temper stubbornness and barking. What do you think about the Doxiepoo? Tell us in the comments!